A newly-built conference room made with meetings in mind. 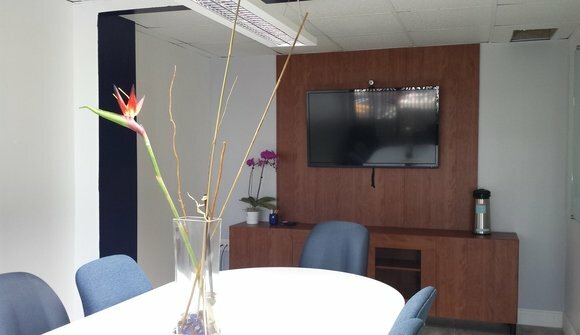 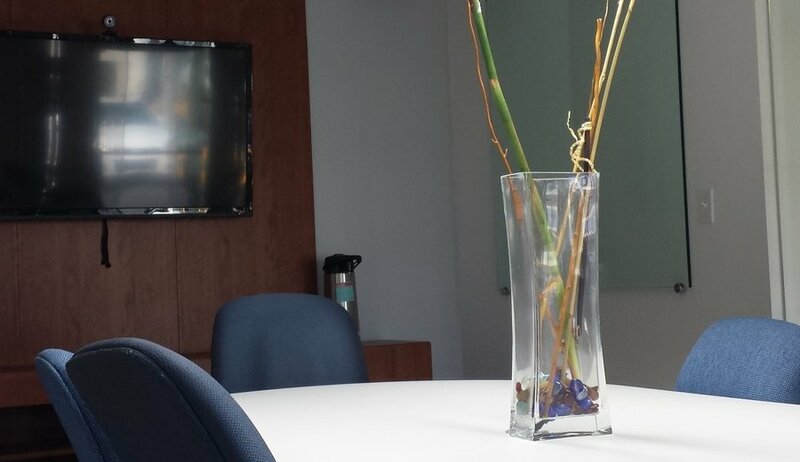 Clear glass walls surround this meeting space that is equipped with a new 50-in flat screen TV that easily connects to your devices via conveniently placed HDMI cables. 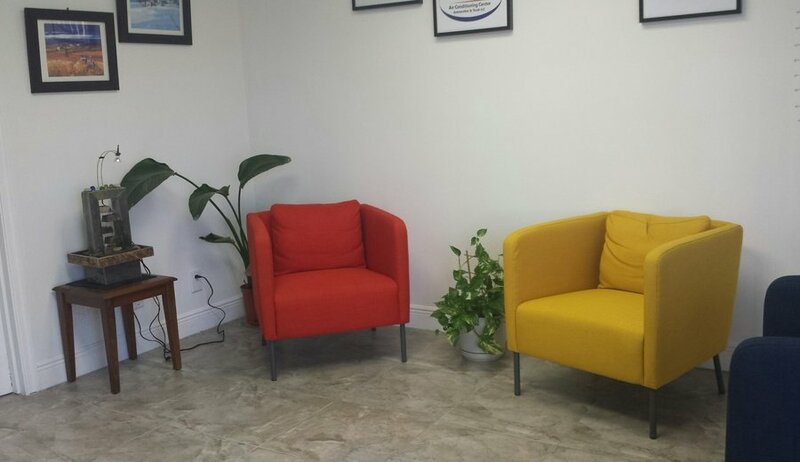 The conference room sits 6, but if needed, 2 extra chairs can be added upon request. 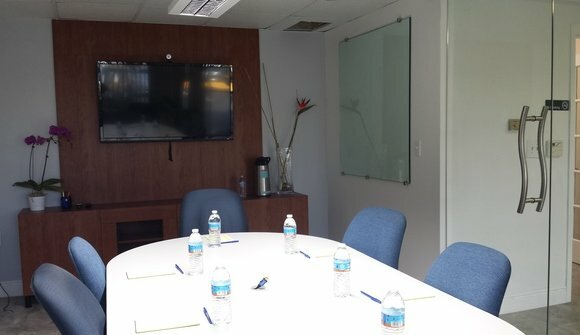 Located at such a favorable location, you will be sure to not only arrive on time, but get the best out of your meetings. 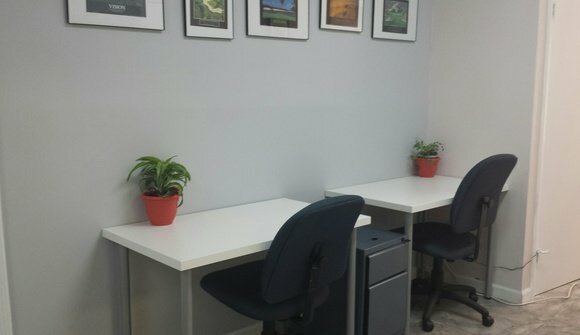 These two white desks are perfect for anyone who is looking for a clear and free space to get their work done with no enclosures. 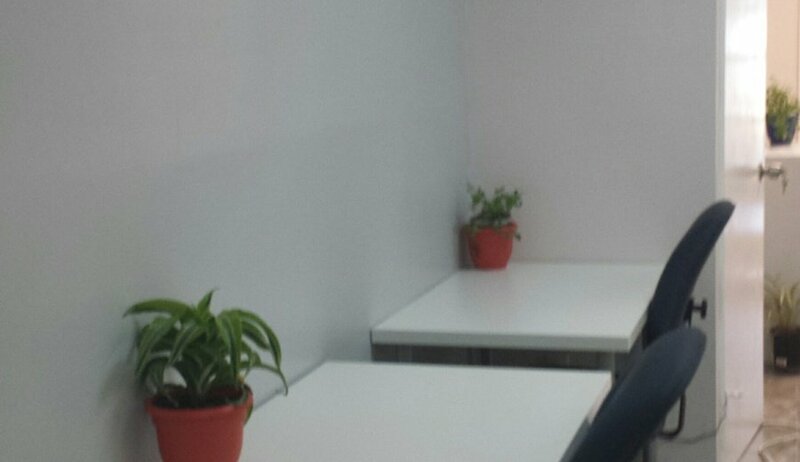 The desks are conveniently placed against a wall on one side of a corridor. There is a small filing cabinet in between the desks that can be used and is included in the rent.